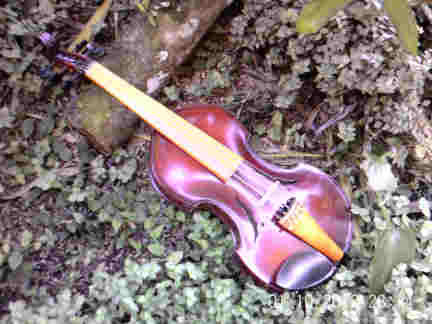 A few month back i bought an instrument that I felt would be an interesting and perhaps versatile fiddle to play. It was a 14.5 inch, 5 string viola. Only a tad bigger than a fiddle and a larger range. But when it arrived WOW. The bridge was down, and even worse, so was the sound post. After talking to the suppler I settled on a large 'discount' rather than going through the hassle of posting it back for a refund. And so it has just hung on the wall since then. Until yesterday. 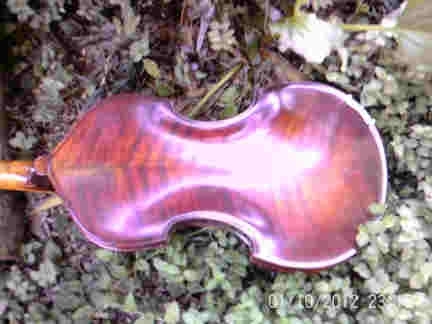 It was rather the same repair on the violin that I bought back from China, so I decided to try it on the baroque viola. Perhaps I should have picked a tune that I could play better. The 5th string tends to make things a bit 'crowded'. Its difficult to not hit two strings at the same time. I think you seem to know this tune very well. Thanks for the post. 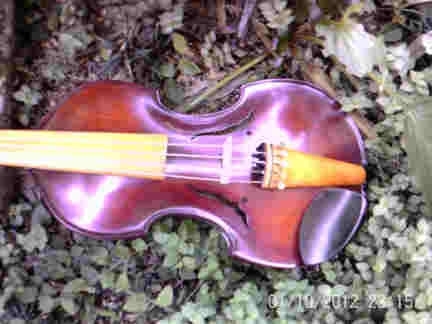 The violin has a very pleasant soft sound. Nice! The sound is even and mellow, and also seems to project well. The whole instrument has a very unique and interesting look, in a good way of course. I hope this doesn't end up being a dumb question, but is the fingerboard a lighter ebony, or some other kind of wood? I've been having a good time getting used to the extra string. Thanks John for educating me. At first glance I thought box wood, but quickly realized the color wasn't quite right for it. I've never seen a violin/viola made this way before. It really does look nice though, and you look comfortable holding it. I'm sure it won't be long before the extra string feels normal.